That is that. 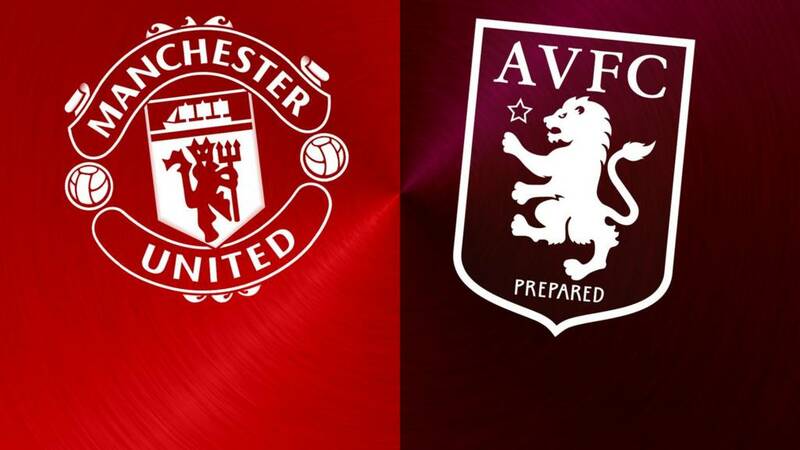 Aston Villa are relegated to the second tier of English football for the first time since 1987, while Manchester United keep up the pressure on Manchester City in the race for fourth place. For full reaction head over here. What a save by Brad Guzan! Memphis Depay is through on goal but denied by the Villa stopper, who turns his stabbed effort onto the post and out for a corner. Three added on in total. Timothy Fosu-Mensah, so good in midweek in the FA Cup, comes on for Juan Mata for the last few minutes. Villa have lobbed the whole lot up now. But from a deep free-kick Scott Sinclair can't turn in the box to force it back in and United have a goal kick. Will they see it out from here? Or can Villa salvage a little something on the day they finally go down? Well I don't think De Gea touched it but Rudy Gestede comes so close to leveling after Jordan Ayew's cut-back - somehow United scramble clear with the goal gaping. And then from the corner Gestede hits the post! Again De Gea a spectator. Signs of life in Vlila yet?! Kieran Richardson's race is run and Rudy Gestede the man to replace him. Throwing on a striker with two goals needed to stay in the league? Maybe David De Gea will actually relish the chance to use his hands. Anthony Martial just glides. Such fluid movement. Not much doing with the actual ball though with the home side seemingly content with the 1-0. Down on the other flank it's all too much for Alan Hutton, who takes a swipe at Memphis Depay. Labouring to a 1-0 win over bottom placed Villa. I'm sorry. But Van Gaal has to go no matter the outcome of the season. So Villa are about 10 minutes away from dropping out of the Premier League. It feels like that sentence should hold a lot more drama than it does. They've been down there for so long now though that this could even feel almost like a relief. Marcus Rashford is the man to make way for Martial. Warm applause and some big high fives greet him on the bench. Villa corner. Cue ironic cheers from the travelling fans. It's their first of the game. About 1400 have made the trip so I'm told. United clear, and they're about to bring on Anthony Martial. Definitely a sense that something of the momentum United seemed to be building immediately after the restart has begun to ebb away now. Jordan Ayew drives into the United box but is seen out and into the hoardings by Memphis Depay. Ayew seems to have taken a bit of a nasty knock, but is up and back together in short time. "It was quite a satisfactory performance from Wayne Rooney, from an England point of view ahead of the Euros." A decent showing from Wayne Rooney as he continues his return from knee injury. Jesse Lingard the man to replace him. Kieran Richardson goes into the book for a foul on Memphis Depay, who booms the free-kick over the bar himself. Marcos Rojo wins a United corner, played into Juan Mata in acres at the near post and Brad Guzan has to stand tall to parry out the Spaniard's shot. Very, very slack defending. And then it almost winds up going in anyway as a high ball falls dangerously close to the line as United look to follow up. Guzan thought he was fouled there, and with Fellaini on him, there may have been a case for it. Well, after all that excitement the home side seem to have decided to take a bit of a breather, slowing down the play with some short passing. Do they sense Villa still believe? Brilliant play from Memphis Depay. He nutmegs Sinclair on the left wing and is away, plenty of space to bend the ball across goal with the outside of his right foot, but Guzan spoons clear to safety, although in truth there was no-one gambling. Not even Rashford. And here's Depay popping up on the edge of the box and firing over - I told you he was lively. United looking to get the ball to him again. Richard: That touch from Rooney was heavier than an overweight elephant carrying an anvil.